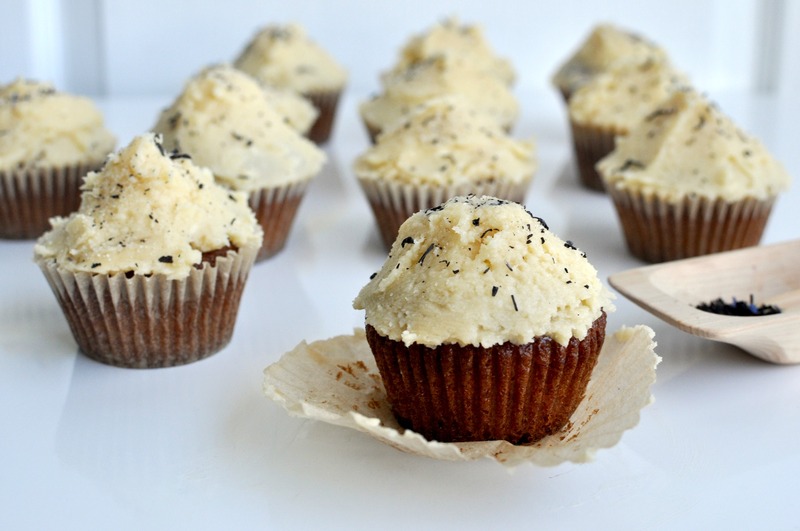 This recipe from Foodie With Family infuses cupcake batter with earl grey tea. If you want extra earl grey flavor, the author recommends replacing the heavy cream in the buttercream icing with earl grey-infused milk. Moist cupcakes topped with fluffy icing? Party hit, coming through! 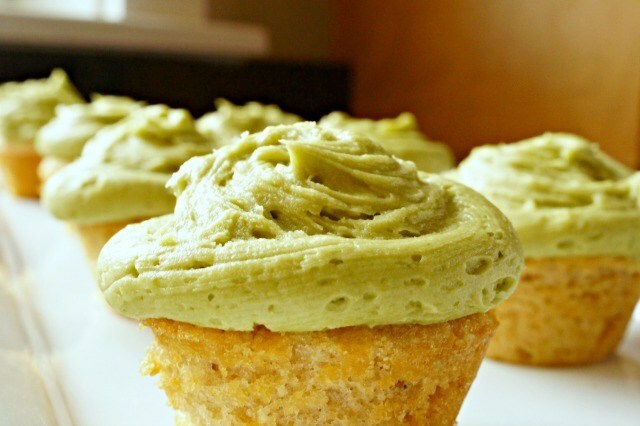 This recipe from Honest & Truly packs green tea flavor into each cupcake and into the matcha buttercream frosting that gorgeously crowns each one. 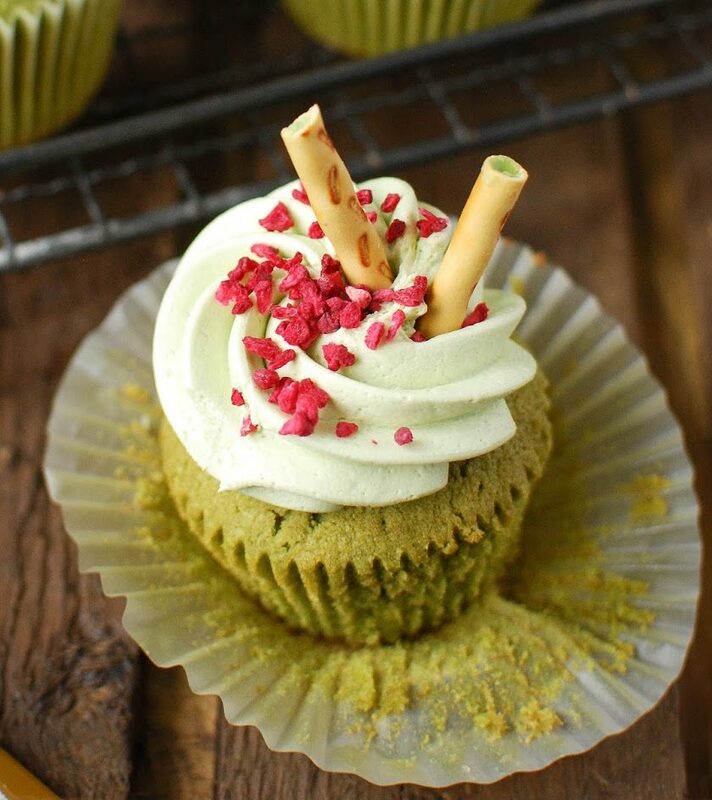 The author says the cupcakes themselves have just “a hint of green tea flavor, but nothing too overwhelming,” and that each cupcake is “moist without falling apart.” The frosting recipe calls for room temperature butter, matcha powder, vanilla bean paste, salt, milk, and powdered sugar. Make extra and use it to top cookies, cakes, or brownies! 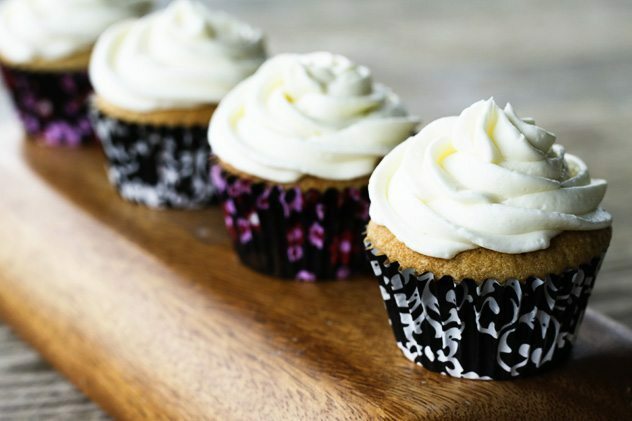 This recipe from Comfortably Domestic packs juicy blueberry puree into the cupcake batter, and tops each cupcake with a lemon tea-infused icing. For the icing, the author used three Celestial Seasonings’ Lemon Zinger tea bags, but you can swap in your preferred brand. 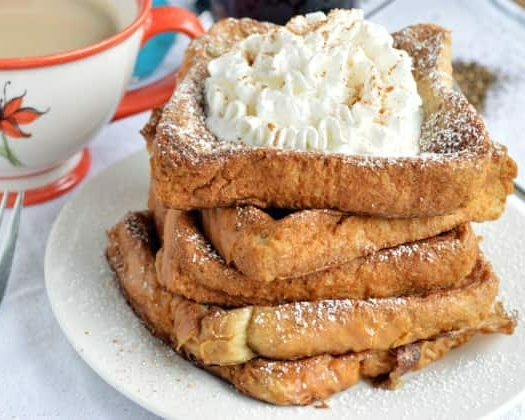 The tea bags join cream cheese, butter, powdered sugar, and vanilla extract to make a delightfully sweet and creamy topping. 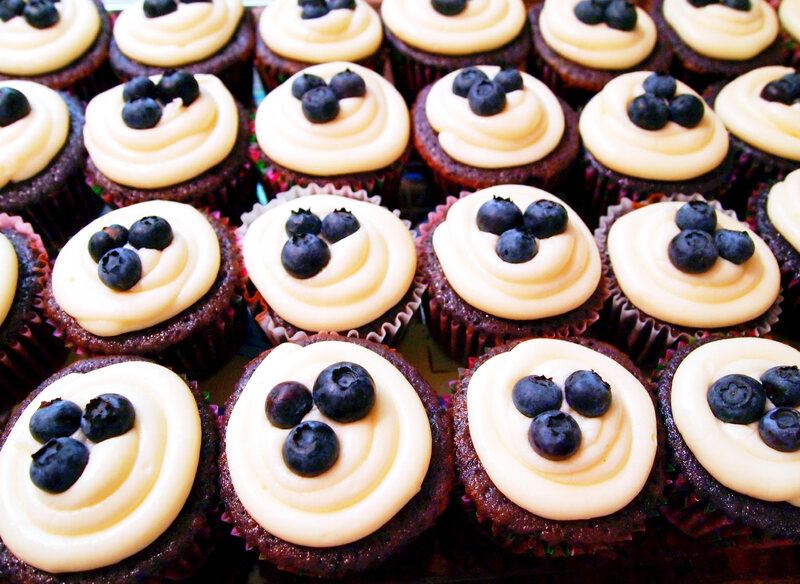 Garnish with blueberries for extra credit. This recipe from Bite Me More uses DAVIDsTEA’s Forever Nuts loose leaf as one of its main ingredients. This tea has pieces of apple, almonds, cinnamon, and beetroot all jumbled together for a fruity, nutty flavor. Cool brewed tea is whisked into the cupcake batter. 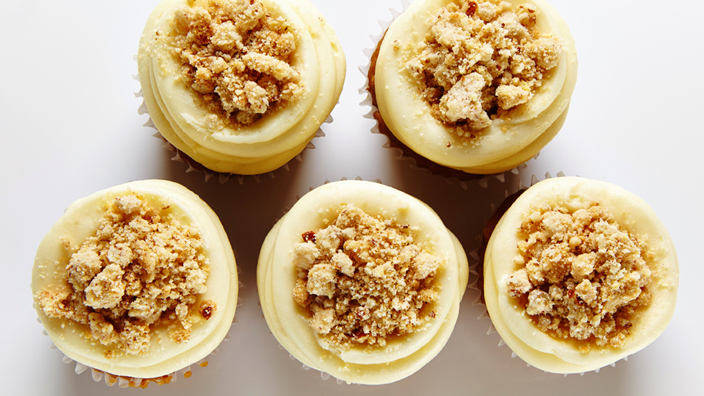 Cream cheese frosting and an almond-cinnamon-sugar crumble topping finishes things off with sweet flavors and plenty of texture. This recipe from My Second Breakfast uses earl grey tea in four ways: it’s steeped in milk, steeped in water, ground and rubbed with sugar, and flavors the frosting. If you’re a fan of earl grey and vanilla, this is the recipe for you! This recipe from Katie Cakes is almost too pretty to eat—almost. 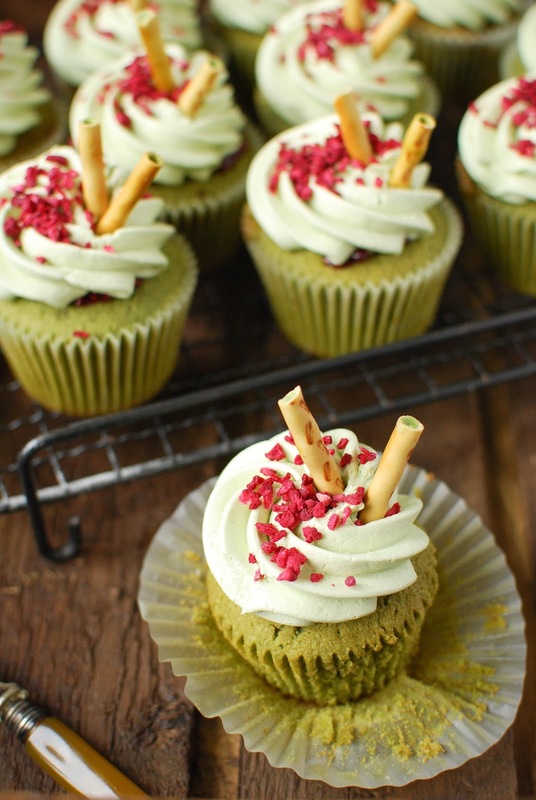 Conscious that matcha is very earthy, the author decided to balance matcha out with raspberry jam in this recipe, concluding that “It worked perfectly–matcha and raspberry are a match made in heaven.” These cupcakes are decorated with green tea pocky sticks and freeze dried raspberries for pops of color and crunch. 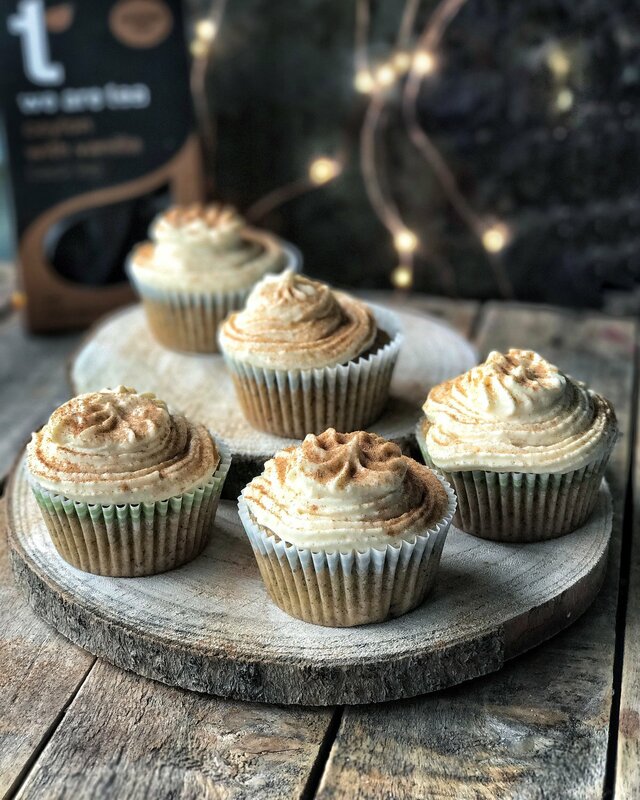 This recipe from We Are Tea makes vegan cupcakes with the tea seller’s Ceylon with Vanilla Tea, a Ceylon black tea scented with vanilla oil. The cupcake batter calls for flour, coconut sugar, almond milk, coconut oil, and apple cider vinegar, among other ingredients, while the frosting stays vegan with ingredients such as coconut cream and vegan butter.